Lindsay Van Beck (‘19) is nine forced turnovers away from becoming the program’s all-time leader in career-caused turnovers. 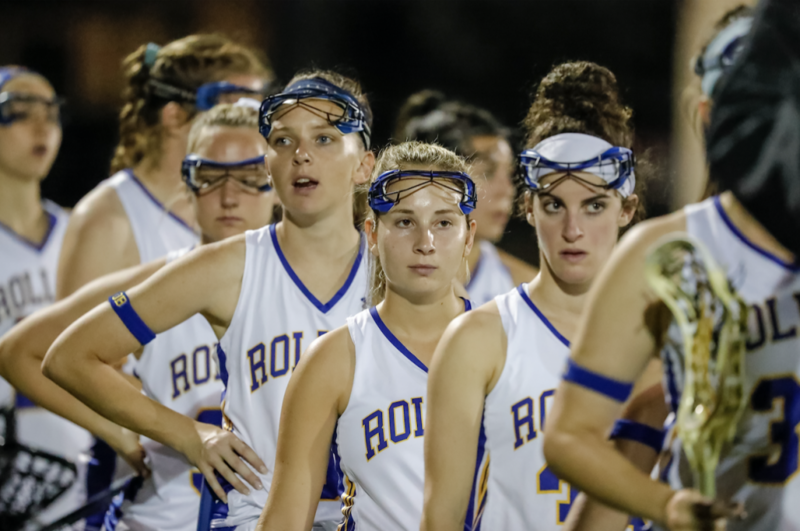 The women’s lacrosse team continues to steamroll opponents, going into conference play with a perfect 10-0 record, the second-best season start in the history of the program. The No. 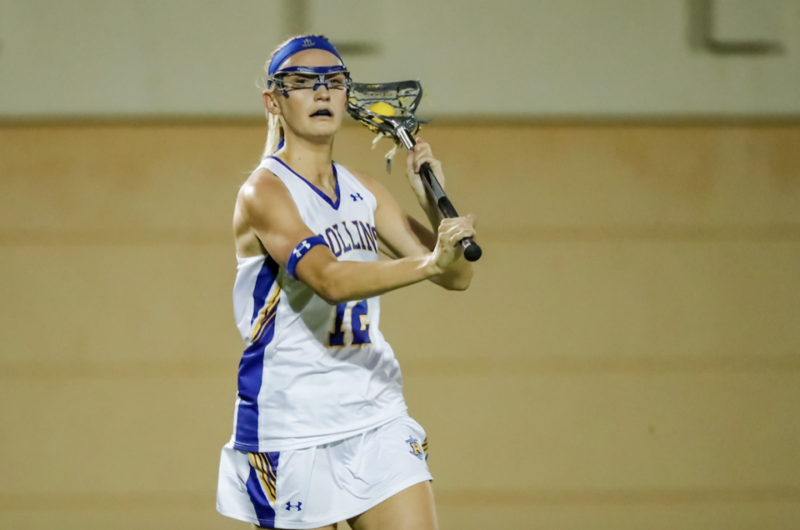 2 nationally-ranked Tars most recently demolished Palm Beach Atlantic University by a score of 22-2, scoring four goals in the first four minutes and with a 15-0 lead by half time. The undefeated run comes close to the team’s season in 2012, when the Tars went 15-0 and reached the NCAA semifinals. “Being from one of the toughest conferences in the country, every game is always a big one, and the team is very aware of that. We were all excited to start conference play, but we knew we had to come out and make a statement,” said Kallie German (‘19), one of the captains of the team. Every year, the team posts one of the best records in the country. For Head Coach Dennis Short, this comes as no surprise, given the intensity of the preparations. Nonetheless, he does acknowledge this year’s accomplishments as a source of pride. The secret to a team that outperforms all the others is good chemistry. Lindsay Van Beck (‘19) is nine forced turnovers away from becoming the program’s all-time leader in career-caused turnovers. Paige Brock (‘19) was Sunshine State Conference Offensive Player of the Week last week. Hannah Ashton (‘20) is also a major contributor with both goals and assists. German, who leads the team in goals, assists, and points for the second year in a row, is 11 career goals away from becoming the program’s all-time top scorer. “None of my successes would even be possible without such a great group of girls behind me. I know they always have my back going into every game, and that takes the pressure off,” said German. According to Short, relationships are the team’s single greatest strength. “This is a team who in 15 [to] 20 years will still be best friends and will still have each others’ backs,” he said. Short considers it his greatest challenge to give the team members the freedom they deserve and not overcoach. “Don’t over complicate a simple game. Just remember to let these 36 amazing lacrosse players be just that and play! Because this team can outplay anyone,” he said. 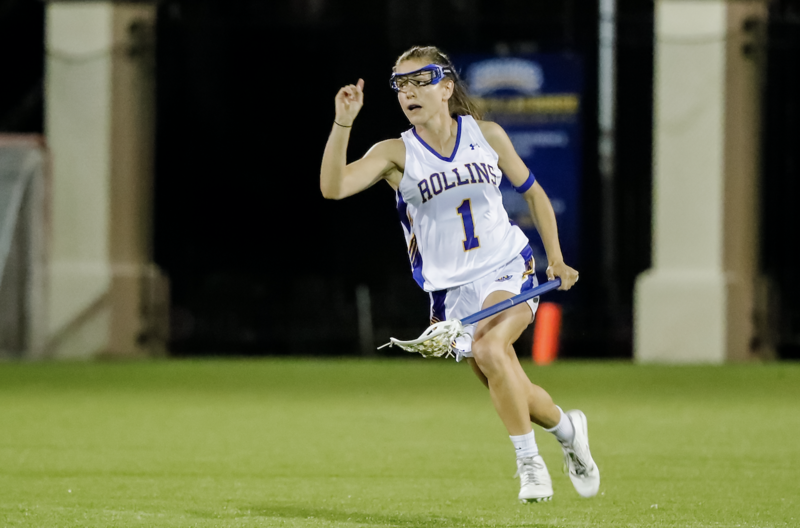 German agreed, considering the team’s chemistry the best it has ever been in her four years at Rollins. “Everyone on the team is on the same page with the same mindset—winning a national championship,” said German. With an average of 20 goals per game and a goal every two shots, it is evident that the Rollins attack is on fire this season. However, this should not distract from the fact that the defense is also, statistically, in the top five in the nation. “A big part of the reason they are both playing so well is they have to face each other every day at practice,” said Short, who was appreciative of the challenging environment during practices. “Tensions can run high in the heat of the moment, but this group has the emotional maturity to bring it together at the conclusion of practice and thank each other for making each other better. It’s pretty awesome, because a lot of teams are not able to do that,” said Short. According to German, the time spent in the locker room allows the team to mentally prepare for what is ahead, but the team still has fun while playing. “We have the atmosphere of living in the moment this year, and that has kept us focused and always ready to play at our best,” she said. Additionally, assistant coaches spend a significant amount of time working with the players one-on-one, breaking down the fundamentals and preparing them as much as possible for the next opponent. This also strengthens the relationship between players and coaches, as well as the players’ own confidence levels.